RFID is only one of the technologies that can be deployed as part of an organisation’s installed systems and solutions. But are there potential problems from installing RFID alongside other wireless systems? Or could other systems prevent the successful operation of RFID solutions? What problems does interference bring? 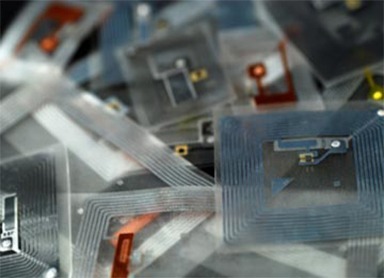 RFID is a technology that relies on bi-directional, wireless, transmission between readers and tags. In passive RFID systems, the readers emit a signal that induces a current in the tag to power the tag’s transmitter. In active RFID systems, the tags broadcast their presence without an induced current from a reading device. Because of this use of wireless transmission, it is right to consider whether there is a risk of interference between RFID and other technologies in the workplace or the data centre. This is particularly true where certain classes of RFID technology are used and where the consequences of interference with other systems and equipment are likely to be serious. Two classes of interference must be considered; firstly interference that prevents correct data being transmitted and/or received and as a result degrades the performance of one or other wireless systems; and secondly the risks that signals from one system will be interpreted incorrectly as valid data by another system. The interference most commonly experienced with RFID systems results from environmental factors in the deployment. In the past difficulties were experienced when RFID technology was used in conjunction with tags mounted on metal or on containers of liquids. In both cases the media interfered with the activation of the tag and tags failed to respond to readers. Recent developments in tag and antenna design and tuning have allowed these problems to be overcome provided they are considered at the planning stage. Also interference can be caused in UHF systems by reflection or re-radiation of power signals. These make careful site planning and antenna / reader tuning essential. Passive or semi-passive systems where transmission only occurs at the time of reading have less risk of interference than active ones where transmission from tags occurs continuously. The areas where cross interference is most likely to occur is between RFID systems and wireless local area networks (WLAN / “WiFi”) or personal area networks (WPAN) such as Bluetooth and then only when devices share common or closely adjacent frequency bands. Some instances of interference between electronic devices in the workplace have been noted within the medical field, including interference between a wireless microphone and a wireless endoscope. Even with these limited occurences the US Food and Drug Administration Centre for Devices & Radiological Health has approved RFID based technology for use in both clinical procedures and as an aid to patient identification. Systems design elements help to reduce the risks of interference within RFID systems (for example the Gen 2 standard for UHF systems incorporates a Dense Reader Mode which reduces the risks of inteference between readers when 50 or more are deployed in close proximity). Interference problems for passive tag systems are further reduced in Europe because European standards limit the power used in such systems to 2 watts (compared with 2.4W in the USA). It is also possible that deployment of active tags that use IEE802.11 wifi standards could experience difficulty when used alongside wireless local area networks operating to the same standards. Whilst in laboratory conditions it has been shown that electro-magnetic radiation from RFID can cause interference with other systems these tests also acknowledge that other technologies with similar EM signatures are already in common use. Potential interference issues are avoided through correct installation. It is therefore imperative that industry specific expertise is sought to ensure each installation is approached with sensitivity to its individual requirements. RFID and interference is a common potential problem. Audit the frequency spectrums used by devices within the deployment environment. Gain commitment from suppliers on the frequencies, protocols and standards used by the equipment. For 2.4GHz active tag systems review IP addressing and WLAN channels used in relation to the planned system. Carry out a pilot or trial installation that measures the performance of the system in the planned environment. If necessary consider dual trials, in the planned environment and where less RF interference is expected. Review the performance of BOTH the RFID component and the existing systems following the pilot.